Ford’s Silverton assembly plant in Pretoria has reached a new milestone this week. 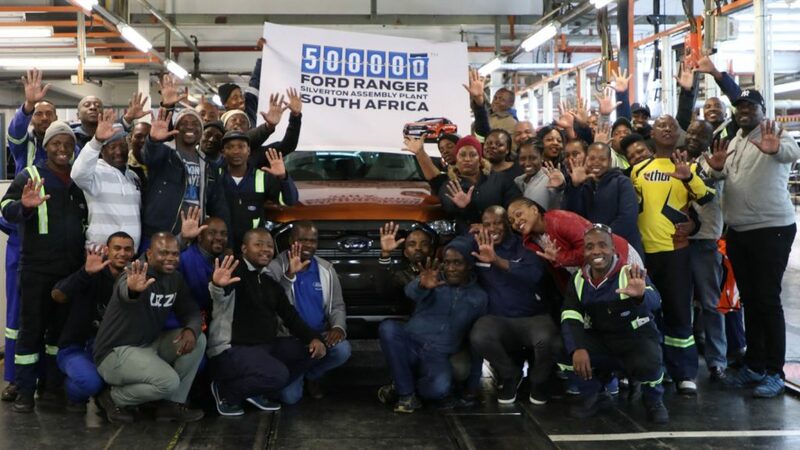 500 000 Ford Ranger vehicles have been assembled at the plant since 2011, some of which have been sold locally, and exported to Europe and the Middle East. “Ford invested more than R3-billion in our local operations for the launch of the Ranger in 2011 to cater for the South African market and exports to over 148 markets in Europe, the Middle East and Africa,” said Ockert Berry, Ford MEA’s VP of operations. More than 10 000 Rangers were produced locally in April 2018. The 500 000th vehicle, which was a Ranger Wildtrak 3.2 Double Cab, was painted in orange. Overall, Ford’s South African operations has produced over 3.4-million vehicles to date.